Smoothies are one of the best (and most delicious) ways to get all of your necessary daily vitamins, minerals, and fiber in one simple drink. However, making a smoothie can be a pain… You have to buy all the right ingredients, know which fruits and vegetables go together, and mix them up. If you accidentally put two fruits or vegetables in your smoothie that don’t go together, it could end up making it taste pretty awful. Then you just wasted good fruit, vegetables, and money. Lucky for you, we now live in a world where you can get smoothies delivered to your door in no time! Why choose a smoothie kit delivery? It will save you tons of time. Instead of having to buy a bunch of fruit and vegetables at the grocery store and cross your fingers that they all don’t go bad before you make your delicious drink, you can get a smoothie subscription box instead. Are They Pre-Packaged or Pre-Blended? It’s no secret that we love Daily Harvest here at Food Box HQ. Ordering from them is a breeze. In a few clicks they matched me to a bunch of smoothies based on my personal taste. And few days later, they were on my doorstep. Since their smoothies are cups filled with frozen/fresh fruits and veggies, you literally just have to throw them in a blender for thirty seconds and you’re good to start sipping. One of my favorite things about Daily Harvest is the variety of smoothies they have. I used to just drink banana, strawberry, and blueberry smoothies but Daily Harvest completely opened my eyes to what other possibilities are out there. For example, I tried their Cacao and Avocado smoothie in my first box. Sounds like a pretty weird combination, right? That’s what I thought until I tried it. Only one word can properly describe its taste: “YUM!” And that’s just one of their smoothies. You should check out some of the other ones on their website. *Update: Green Blender has temporarily stopped taking new orders. We will update this post once we know when they open their doors again. Alongside Daily Harvest, Green Blender is another very popular smoothie ingredient delivery service. However, Daily Harvest and Green Blender differ in one specific way. Daily Harvest freezes the fruits and vegetables they send you while Green Blender doesn’t. While freezing the ingredients will allow them to stay fresher for longer (without preservatives) some people prefer their smoothie ingredients to be unfrozen. 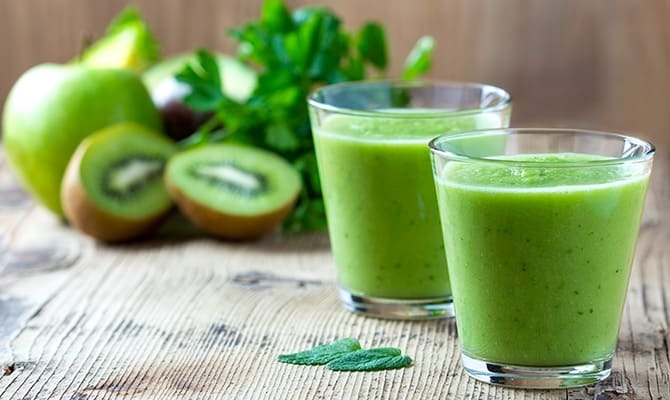 Like Daily Harvest, Green Blender has a ton of variety when it comes to smoothie recipes. Some of their concoctions sound crazy but taste delicious — Creamy Carrot Pineapple, Acai Almond, Cucumber Limeade. Who comes up with these? Not as popular as Daily Harvest or Green Blender, Goodie still delivers high quality smoothie ingredients. They source all of their fruit and veggies from local farms and ensure that everything is organic. The variety of smoothies that they offer isn’t as extensive as Daily Harvest or Green Blender but it’s still impressive nonetheless. Instead of getting prepped smoothies waiting to be blended, Goodie sends you a box of fruit and vegetables based on your personal preferences. They have an Energy Box, Leaner and Cleaner Box, and Muscle Builder Box. Like Green Blender, the ingredients are not frozen. One thing I really like about Goodie is that for every box they send out, they donate a meal to the LA Food Bank charity. Now you can eat healthy while knowing you’ve helped someone in need. Root Blends offers a smoothie subscription service much like Daily Harvest. They send you frozen smoothie ingredients in a pouch that can be poured right into a blender, blended, and drank. Their smoothies come in six different categories — energy, weight loss, detox, athlete, skin, and baby. They don’t have as much of a variety as Daily Harvest or Green Blender but the smoothies do offer are quite delicious. Known for their amazing meal kits, most people don’t know that you can also order smoothies from Terra’s Kitchen. When you order meals from them, they will give you the option to add smoothies to your delivery before checking out. Their smoothie options are always changing so if you already use Terra’s Kitchen or are planning on trying them, their smoothies are definitely worth a shot. A little different from the other smoothie delivery services we mention, SmartFruit does not deliver you pre-packaged smoothie ingredients. They actually deliver you a pre-blended smoothie. Their focus is creating smoothies that don’t just taste good but also pack as many super-foods as possible. And although they are not a smoothie subscription service, you can still order their smoothies online. Can’t decide between a smoothie or a juice? 1915 Organic offers both. Like SmartFruit, 1915 Organic pre-blends both their juices and smoothies so you don’t have to worry about blending or cleaning up. Their selection isn’t as big as Daily Harvest or Green Blender but the ones they do have are really interesting flavors. Take for example their pear, coconut water, mango, spinach, banana, and lime smoothie. Sounds crazy but its packed to the brim with vitamins and nutrients. *Unfortunately, Door to Door Organics has shut down. Maybe you don’t want to let someone else choose your smoothie recipe and you’d rather create your own. In that case, Door to Door Organics is perfect for you. They aren’t a traditional smoothie delivery service but rather a fruit delivery service that allows you to choose which fruits you want delivered. That means you can buy as much fruit as needed for your smoothies with a few clicks, rather than having to drive to the grocery store, pick out fruit, make sure its ripe, pay for it, and drive all the way home. Door to Door Organics just shows up on your doorstep! Splendid Spoon is one of the more unique smoothie services on this list. Why? You can think of their service as a long-term plant-based “cleanse”. They not only send you smoothies but you also have the option to choose soups as well. You can select from 3 different plans — The Lunch Hour, The 9 to 5, or The 1-Month Starter. The 9 to 5 and The 1-Month Starter are the only plans that deliver smoothies (for breakfast) along with soups (for lunch). All of their smoothies come pre-blended and bottled to make it a very convenient breakfast option. Not only is it convenient, they have a ton of variety. Each week you’ll have the ability to choose from 13 different vegan smoothies and the flavors change frequently. These aren’t your average smoothies either… For example, a favorite of mine is their Power Greens Smoothie made with: organic bananas, organic coconut nectar, organic lemon juice, organic coconut oil, organic kale juice, organic pea protein, organic hemp seeds, organic chia seeds, organic flax seeds, organic spirulina, sea salt, and organic wheatgrass powder. SmoothieBox, the sister company to ButcherBox, is a smoothie delivery service that sends flash frozen, pre-bagged, and pre-portioned smoothie ingredients that simply need to be blended. What makes them unique is the fact that they also include the option to add collagen powder to each smoothie. If you’re unfamiliar with collagen powder, it’s a protein made up of amino-acids that is the build block in the connective tissue within the body (e.g. skin, hair, nails). There are many studies that suggest it can have a wide range of benefits — from possibly reversing skin aging to improving digestive health. They currently only have 1 plan that offers 3 different smoothie flavors. While the variety isn’t extensive, it is certainly a convenient smoothie option. Like SmoothieBox, Frozen Garden smoothies are also flash frozen, pre-bagged, and pre-portioned. However, Frozen Garden has a bit more variety in the flavors that they offer. You can choose from over 10 different smoothie options and they’re rolling out more all the time. What’s great about Frozen Garden is the fact that they offer an “a la carte” option so you can choose a variety of smoothies based on exactly what you want. They also offer smoothie packs such as the Green Smoothie Starter Pack with all of their green vegetable loaded smoothies and their Paleo-Friendly Smoothie Pack which is (obviously) paleo-friendly. If you’ve tried any of these smoothie delivery boxes or you’ve found one we didn’t include, please leave a comment below letting me know! Whether they’re for breakfast, a meal replacement, or an afternoon pick-me-up, smoothies are an amazing option to incorporate into your daily meal plan. The reason smoothies are so fantastic is because they can provide you with so many nutrients in a single serving. What’s not so great about smoothies, however, is the work that goes into making them. You have to choose recipes, go grocery shopping, and prep ingredients before anything even hits the blender. Luckily, the above smoothie delivery services have you covered. You can get ready-to-make smoothies delivered straight to your door so all of the hard work is already done for you. This way, there’s no excuses. When you’re out and about, what are you most likely to do when it comes time to grab something to eat? Will you already be prepared with healthy snacks stashed in your bag? Or will you resort to the fast food drive-thru or takeout from local restaurants? If it’s the latter, you definitely aren’t alone. We’re busy people. And in terms of food, we typically go for something that’s fast and easy. But ultimately, all of the takeout foods can be sabotaging any wellness goals you’ve set for yourself. That’s why signing up for a smoothie delivery service is a great option for eating healthy while you’re on-the-go. Instead of resorting to greasy foods that contain hidden ingredients you can’t pronounce, you can opt for a nutritious, filling smoothie. It’s easy to bring on-the-go because you can sip it on your way to work or while you’re running errands. And the best part is that you can feel good about enjoying a smoothie because they’re packed with fruits and veggies that contain the vitamins and minerals your body craves to perform its best. 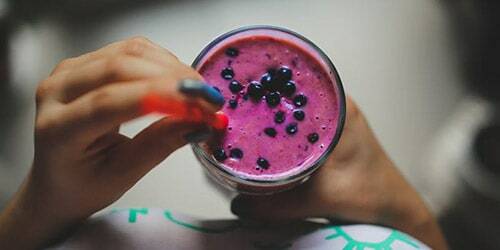 There’s no denying that smoothies can be delicious and nutritious. However, it’s safe to say everyone’s least favorite part of making smoothies is the prep work that’s involved. First, you have to make a list of all the ingredients you’ll need for each flavor of smoothie you’d like to make. Then, you have to go to the grocery store and pick everything up. Once it comes time to make your smoothie, you have to wash your fruits and veggies to get them ready for blending by chopping everything up prior to throwing it in the blender. And unless you’re eyeballing it, you’re probably measuring a few ingredients as well. This is why creating a tasty smoothie takes time. And if you’re like me, sometimes you just don’t have that much time to spare. With a smoothie delivery service, everything is pre-made and ready for you to pour into the blender. With all of the services on the list above, you just need to add all the ingredients to the blender, finish with a liquid base of your choice, and blend it up. Then, you’re ready to start sipping on your smoothie! No grocery shopping or prep work required, which is definitely a win. As mentioned above, using a service that delivers smoothies to your door couldn’t get any easier. All of the hard work is done for you when it comes to grocery shopping and prepping. It’s simply up to you to throw everything into the blender. In a matter of minutes, you’ll have a delicious smoothie to drink. The other great part is that you don’t have to worry about fussing around with recipes. For some of us, we have our go-to smoothie recipes down. But if you’re new to the smoothie world or want to try new flavors, you’ll likely spend some time searching for recipes online. But you simply won’t have to do that with a smoothie delivery service. The smoothie services outlined above have expertly paired flavors for you and have incorporated all the essential nutrients to ensure it’s flavorful and healthy. We’ve all been told that eating a healthy breakfast is important. It sets you up for a successful day. And eating something that’s completely lacking in vitamins and minerals or worse, loaded with refined carbohydrates and sugar, probably won’t leave you feeling your best either. Instead, you need something that’s going to be both delicious and jam-packed with nutrients. That’s exactly where a tasty smoothie comes into your morning. A smoothie can actually boost energy naturally thanks to all of the fruits and veggies they contain. For instance, bananas, blueberries, and oranges are just a few awesome fruit options for your smoothies because they’ll give you the pick-me-up you need to get through the day. With smoothie delivery, you’ll have a plethora of flavor options to order right at your fingertips. It’s the easiest way to try new recipes because you won’t have to spend hours Googling to find ones you’ll like. Nor will you have to buy a bunch of ingredients at the grocery store to test them out. Because we all know what happens then… Some of those ingredients wind up going to waste. Why not have someone else do all the hard work? They create the recipes, package all of the ingredients, and send them straight to your door. This way, you get tasty smoothies in a variety of flavors, allowing you to switch it up every day. And honestly, it doesn’t get much better than that for a smoothie lover. Let’s explore each of these factors individually. One of the most important things to consider before picking a smoothie service is the variety of flavors they offer. It’s easy to fall into a rut of blending up the same flavors over and over once you find your favorite. However, that does get boring after a while and we need to change it up! That’s why you want to find a company that’s going to deliver plenty of flavor options you know you’ll enjoy trying out. This way, you have something different to look forward to each day. Another element we considered when putting together this list is the quality of smoothie ingredients. For many people, including myself, this is really important. We all want to know we’re getting the best with every smoothie, and this often means organic ingredients. All of the smoothie services on this list either use completely organic ingredients (for example Splendid Spoon) or very high quality ingredients. Whether you’re on a budget or you just want to get the most bang for your buck, you want to make sure you’re being charged a great price for the service. Find out how many smoothies you’ll get per delivery and how frequently deliveries happen. Are they weekly, bi-weekly, or monthly? How much does it cost per serving? What’s the quality of the ingredients you’re paying for? All of this is going to tell you how much one smoothie is actually going to wind up costing you so you can determine what’s a price you’re willing to pay. We purposefully decided not to include pricing for each service in this list. Why? While we would love to give our readers a look a pricing (such as per-serving pricing, shipping costs, etc.) the services we reviewed are constantly updating their pricing and plans. While we did factor it into our overall review of each, we didn’t want to publish this article only to have it include the wrong price in the future. In addition to our own internal reviews, we also scoured the web to make sure others had similar positive experience. Things we asked ourselves when reading other reviews were: Do they love the flavor selection? How easy is it to make the smoothies? Does everything arrive on time and in tact? What’s their overall opinion of the company? Finally, the last thing we considered was how the smoothies will actually arrive. Will they be pre-packaged, meaning you just need to put them into the blender? Or will they come already blended? There are companies out there that provide both options, so it’s totally up to you which one you’d prefer. While this may seem like a small detail, it’s actually one worth considering because of the time aspect. If the smoothie comes pre-packaged, that means you still have to blend and pour. If it’s pre-blended, that means it comes in a bottle so you can easily “grab and go”. I got Daily Harvest as a gift from my roommate for my birthday. It’s actually pretty good. The box I got had a bunch of weird names that actually tasted great. Ended up signing up myself after I used all the smoothies they sent me. Can you please compare Daily Harvest and Green Blender? I need to start making healthier breakfast decisions and I’ve been trying to figure out which one is best for me. They both seem very similar. I like that Daily Harvest has variety but I also like that Green Blender ingredients aren’t frozen. But frozen ingredients means they last longer. UGH!! I can’t make up my mind. Haven’t heard of 99% of these smoothie companies! Who knew there were so many? Thank you for letting us know! We’ll get that updated. JUST signed up with Greenblender two weeks ago, and today got an e-mail they want to take a “few months hiatus”. Very disappointing. Ah, so sorry to hear! Looks like they’re taking a break for some reason. Check out Daily Harvest — it’s a favorite of mine. Did anyone ever hear of smoothiebox? It’s a sister company with butcherbox. Yep! We’re looking into reviewing them next :). Green Blender is no longer taking orders…no ETA on when opening again. I’m a co-founder of Everipe, a brand new blender-ready superfood smoothie that is delivering free in the US, is 100% organic and doesn’t need a subscription. What makes us most unique is that we store in the pantry (no freezer!). Our fruits and vegetables have been freeze dried which is a natural process, maintains more nutrients than freezing and allows Everipe to store in the pantry for up to a year. No more guilt when you don’t get to your smoothie ingredients on time! We’d love for you to check us out. Have a great day! Thanks for letting us know, Kerry! Will look into it.